The Energica Eva is debuting again at the EICMA show, after first appearing at last year’s EICMA show in a semi-finished state. 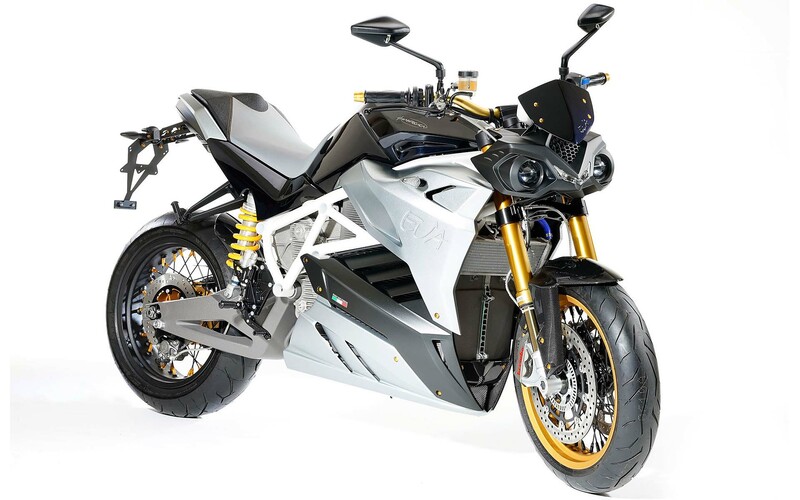 We were very impressed with Energica’s superbike, the Ego, and have been looking forward to the Italian company’s sequel, the Energica Eva. 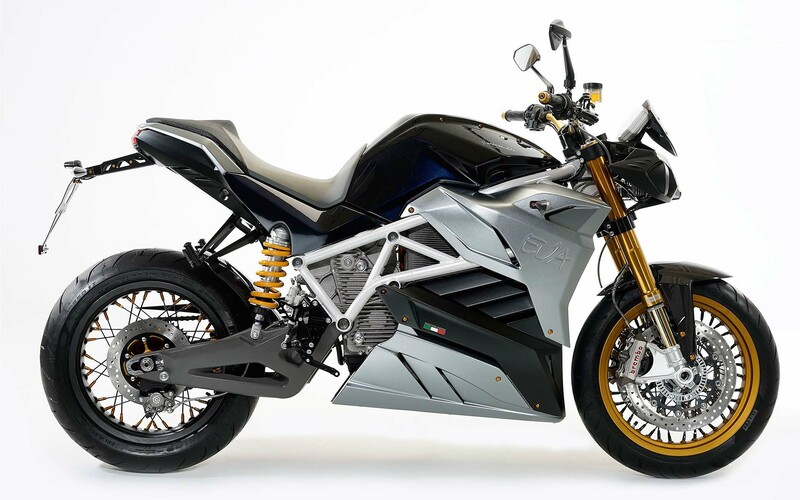 The electric streetfighter first debuted with the same 136hp PMAC motor, but Energica has changed this up so the unit now makes 95hp. That is a noticeable power difference, but street riders will be happy to hear that peak torque is still very potent, at 125 lbs•ft. 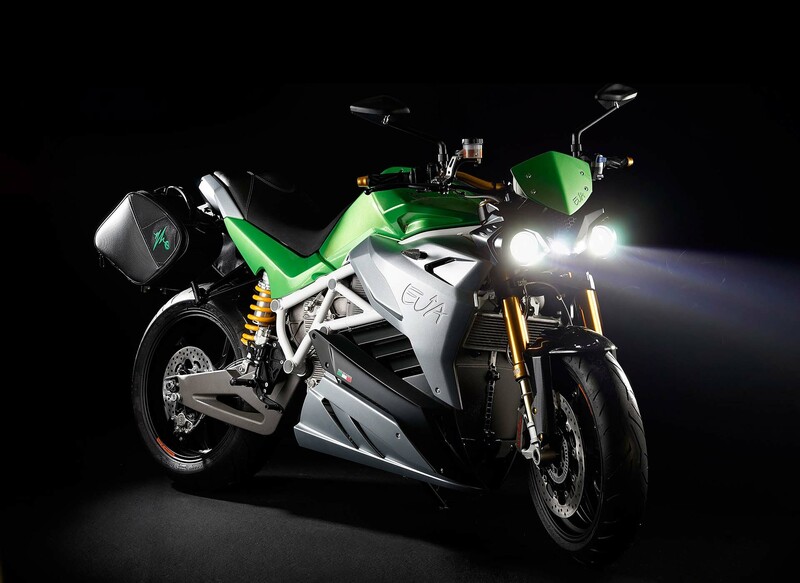 Energica says that the Eva can go up to 124 miles on a charge, in “ECO” mode of course. With 11.7 kWh of battery on-board, the real world range should be comparable to most other electric motorcycles on the market, and range will of course depend mostly on what type of riding is involved. 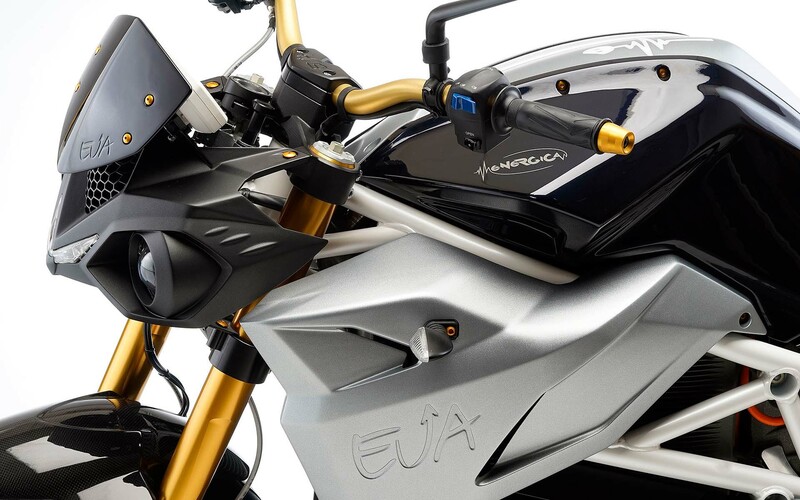 Beyond the tech-specs, the real value of the Energica Eva is in the sophistication of Energica’s systems and craftsmanship. Located in Italy’s Formula 1 corridor, Energica’s parent company CRP Racing has extensive experience servicing the top F1 teams in the world, and clearly their know-how has trickled into Energica. 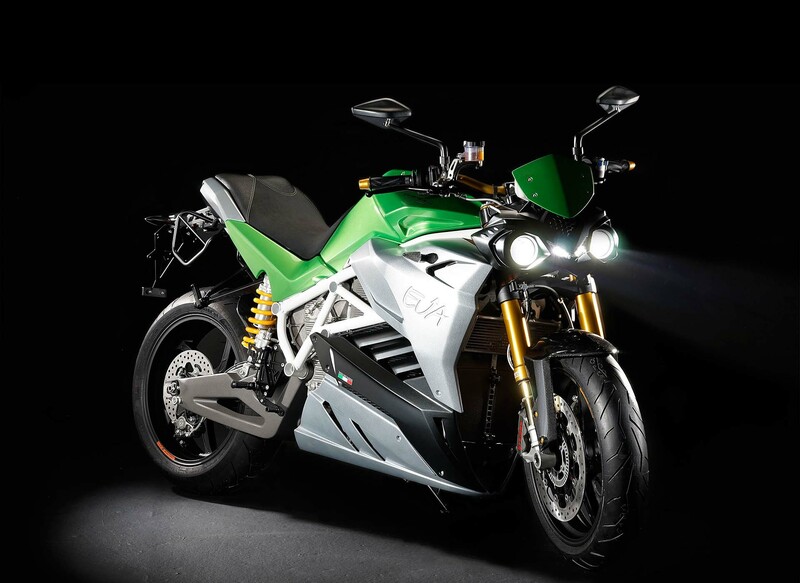 As such, we expected a lot from the Energica Eva. We will have to wait a little longer for US pricing and arrival, but we would expect the model to be a bit cheaper than the Ego. Hopefully Asphalt & Rubber will soon be swinging a leg over the Energica Eva, and will have more information about the streetfighter then.